Thank you for choosing Eleaf Products! Please read this manual carefully before use so as to use correctly. If you require additional information or have questions about the product or its, please consult your local agents, or visit our site www.istick.org, if you order from our site, you can enjoy a perfect customer service at our facebook. About iJust ONE Features, I suggest you visit our products page to know it Simple and clearly, I will show you some notes and how to use it, follow me. 4. Finally screw the top cap with mouthpiece on, and the iJust ONE is ready to use. Press the button 5 times in quick succession within two seconds, the indicator light lfashes 5 times to shouw the device is powered on. In the same way, it can also be turned off. 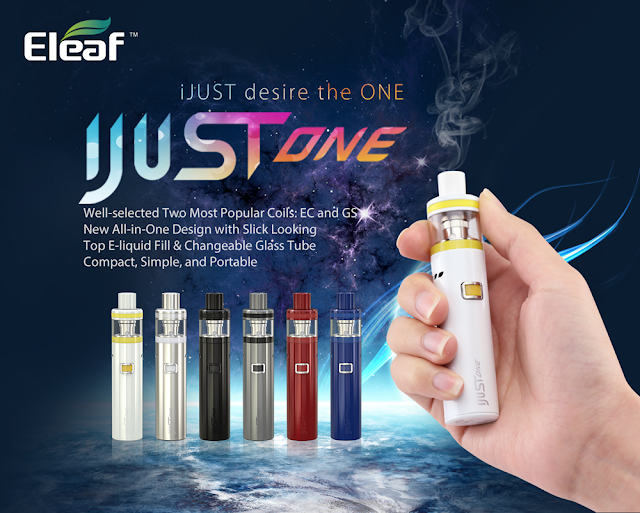 Keep holding the button of IJust ONE Kit to take a puff when the device is powered on. The device can be charged by connecting it with a wall adapter or a computer via the USB cable. The light under the charging port is red during charging and goes out when fully charged. Atomizer Protection: Every time when vaping time exceeds 15 seconds, the indicator light flashes 10 times and the output cuts off automatically. Low Voltage Protection: When the voltage of the device is lower than 3.3V, the indicator light flashes 40 times and there is no output when vaping. Charge the device to reactivate it. Resistance Detect: If the output load resistance is higher than 3.0 ohm, the indicator light will flash slowly to indicate that no atomizer is detected when vaping; if the ouput load resistance is lower than 0.15 ohm, the indicator light will flash 5 times to indicate a low output load or a short circuit when vaping. Battery Level Indication Function: The indication light will stay lit or flash slowly after a puff when the battery level is high. On the contrary, the light will flash in frequency. 2. This product is not recommend for use by young people, non-smokers, pregnant or breast-feeding women, or persons who are allergic/sensitive to nicotine.